Embark on Your Next Great Adventure! 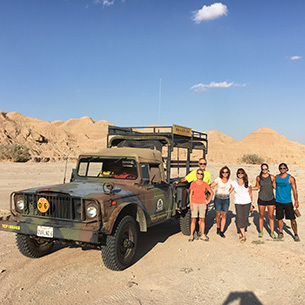 Come roam with us, and you’ll discover why Trip Advisor has entered California Overland Desert Excursions into its Hall of Fame and named us the #1 Tour or Activity in Borrego Springs. Now offering both open-air and climate-controlled vehicles ... As we like to say, it's roughing it at its finest! 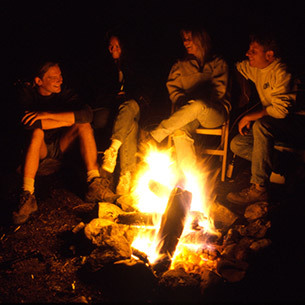 Spring and summer vacations provide the perfect opportunity to explore the desert with family and other loved ones. Glamping in the Desert. 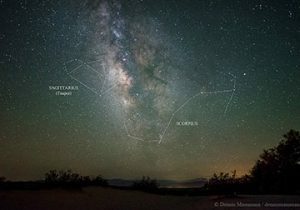 For those of you who love to have tents set up for them, a fabulous dinner cooked, and a view of the stars with a knowledgeable astronomer and first-class telescope, then this is for you. Awesome adventure! We chose the 2.5-hour tour to badlands. Awesome time and beautiful scenery. 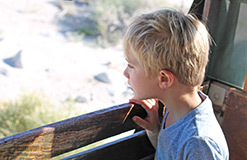 Our 4- and 8-year-old boys LOVED the truck ride and exploring caves. Our leader was very informative and made some great scenic stops along the way. Highly recommend! What a fantastic day! Absolutely worth flying nearly halfway around the world for!!! I can't say enough wonderful things about Joe and California Overland. 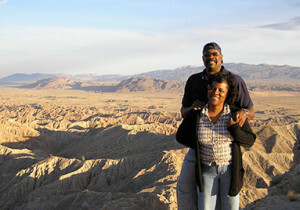 Joe is an absolute professional with a vast knowledge of the Anza Borego Desert and Anza Borego State Park. 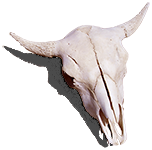 He worked with our production company and director to explore the desert area and scout potential film shoot locations over several months. Joe was thorough, patient, organized and fun to be with. His services are well priced and well worth the cost. Joe was often available at the last minute and catered to what we were interested in and looking for through the whole process. 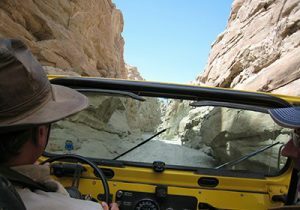 Whether you're looking for a one day excursion or more extensive exploration, you can't go wrong with California Overland. Loved it! Wish we stayed overnight! Our family of 5 took the 5-hour Font’s Point North tour and it was a blast! Joe couldn't have been nicer and more knowledgeable about every aspect of the desert. The picnic lunch was delicious and the location was perfect. It took us 2 hours to drive from SD, but it was so worth it. 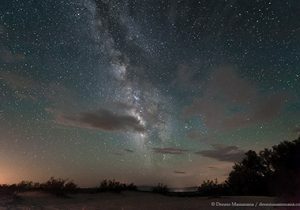 I just wish we camped out overnight to see this beautiful part of our country under the stars. I can't recommend California Overland enough — it should be part of every trip to San Diego. 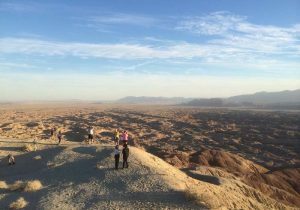 As ‘Desert Awakening’ came to life in the wilderness of Borrego Springs, California, we were swept away by the surreal landscape, transported to an otherworldly realm, in the seemingly infinite expanse of desert and sky. The tones were ever so subtle, faded by the relentless desert sun, creating a clean neutral palette from which our vision sprung forth. You may notice that after 20+ reviews, these guys are still 5-star, for a reason. We did the Julian, CA wine tour … Joe made sure we were enjoying ourselves the entire time...never did we feel rushed, and isn't that what you're really looking for when you're trying to escape the city life? ... Try it, you'll love it! 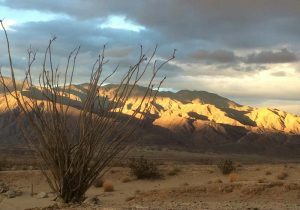 We recently worked with California Overland for a few days on a independent film shoot in Anza-Borrego, and we can't recommend Joe and his drivers more highly. The 10-Wheeler, along with their expert knowledge of the area, really made the landscape more navigable and the overall experience considerably easier. When you're shooting long days in the summer heat, you want to leave as few things as possible to chance. 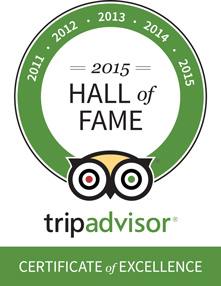 They helped us find interesting pockets of the state park, and their level of professionalism was always top-notch. Also, it's pretty awesome to ride through the desert on one of these trucks. 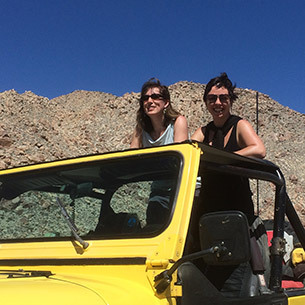 Whether you're a filmmaker or a tourist, we highly recommend working with California Overland to make the most out of your time in Borrego Springs. Happy trails! This really is California’s hidden gem. 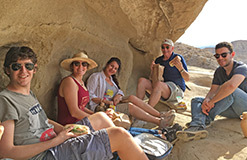 We loved having lunch in a secret canyon, but the highlight was the sunset at Font’s Point. 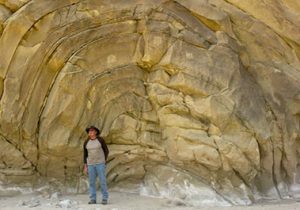 ...We give California Overland our highest recommendation, and can hardly wait to return next year to go out with them again. Better than Disneyland. Can we do it again tomorrow? Seriously.